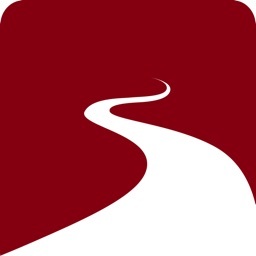 This app provides you with full encryption, end-to-end, straight from your iPhone or iPad. 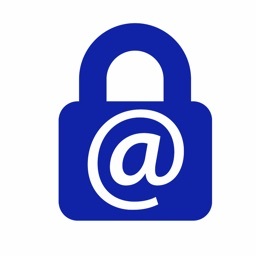 You can send and receive encrypted emails, set expiration timers, and rest assured that your privacy and security are assured. 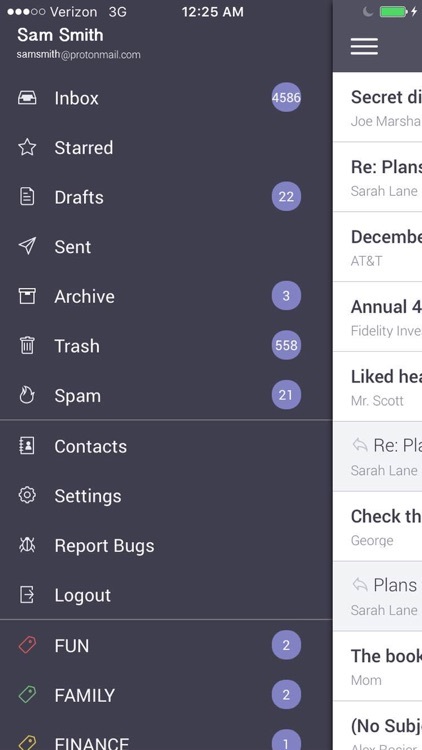 The ProtonMail main interface. 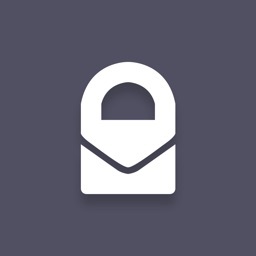 ProtonMail has a very clean, simple interface. Reading and composing emails is simple and easy, and the view is spacious and easy to use. HTML is supported within the emails, so you can easily click on links and see rich text treatment of the message. Rich text support. 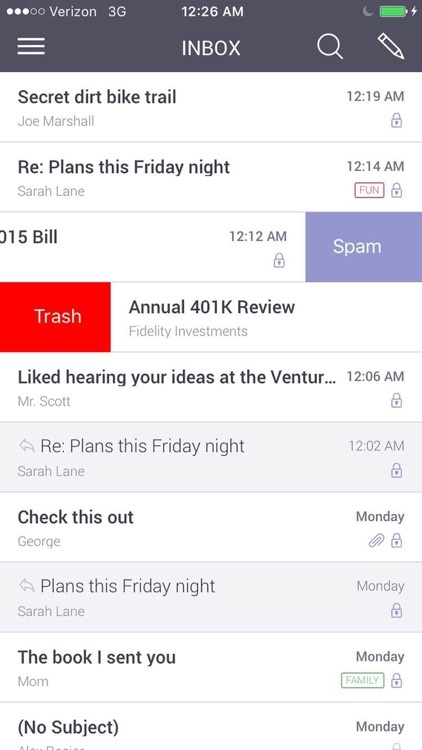 By selecting a word or passage, you can easily apply rich text effects to your email. You can bold words, italicize them, or underline them. ProtonMail also supports attaching files, so you can take a photograph to send or include one from your Photo Library. Self-destructing emails. 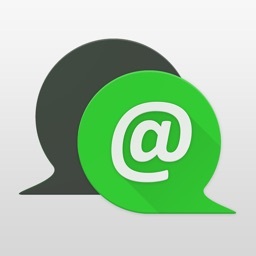 Within the app, you can decrypt your message quickly and easily for pure end-to-end encryption. 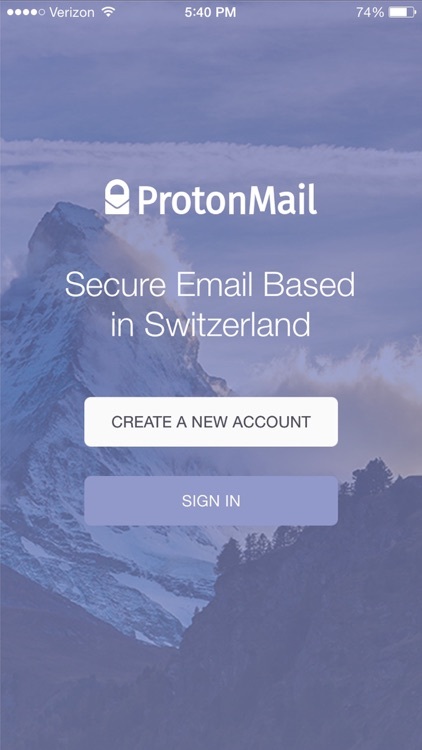 Since messages are sent from ProtonMail's own servers in Switzerland, and they don't store your keys, your security and privacy is assured. You can also set an expiration timer for a self-destructing email. Viewable even from other apps. 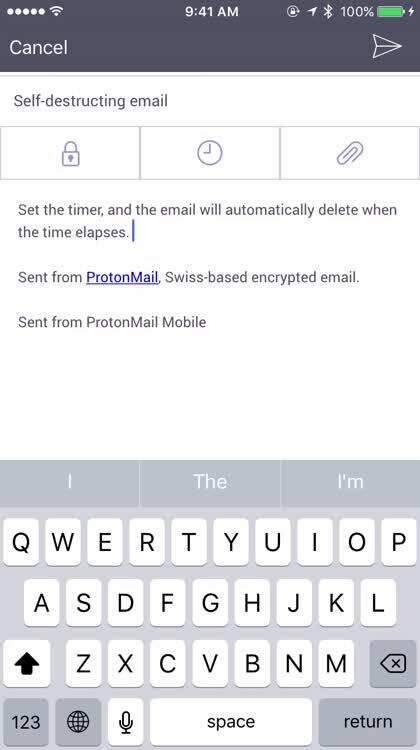 If your recipient doesn't have ProtonMail, they can still take advantage of the encryption of your message. 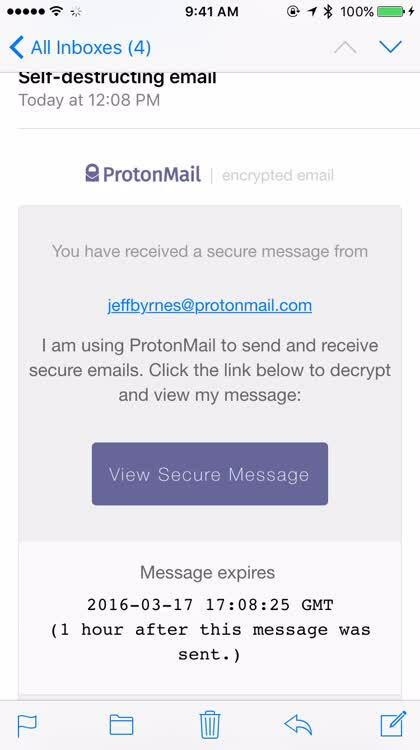 All they have to do is tap on the button to decrypt the email, and they are taken to the ProtonMail website to view it. They do have to know the password, of course. 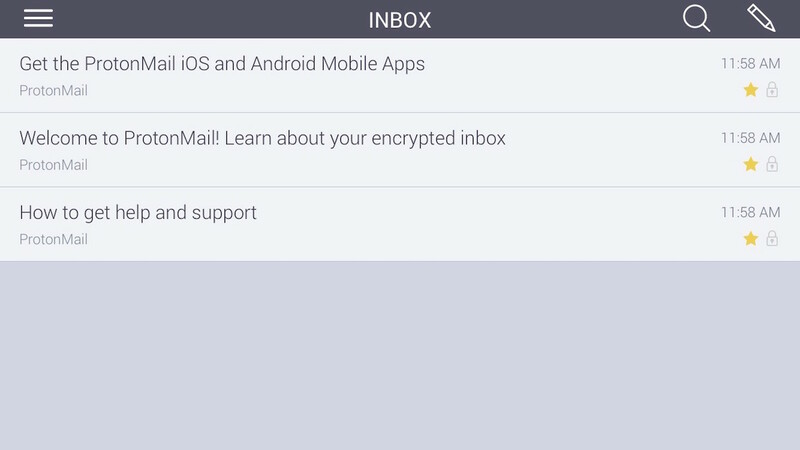 ProtonMail provides you with a streamlined email client for sending and receiving encrypted emails. 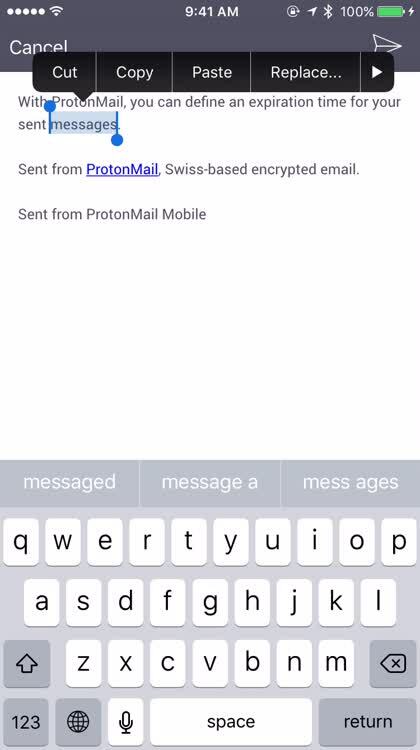 Your emails are sent using ProtonMail's servers in Switzerland, not passed through the cloud, so everything is encrypted from the time you send it to the moment your recipient opens the email. 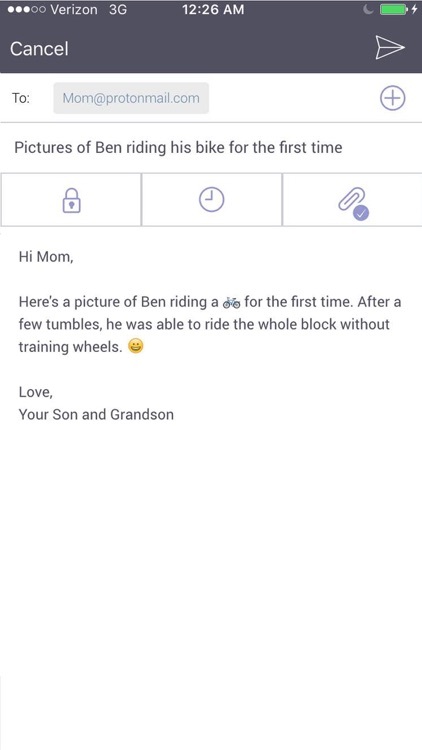 The app even supports basic rich text, so you can apply formatting to your emails to highlight words or passages. 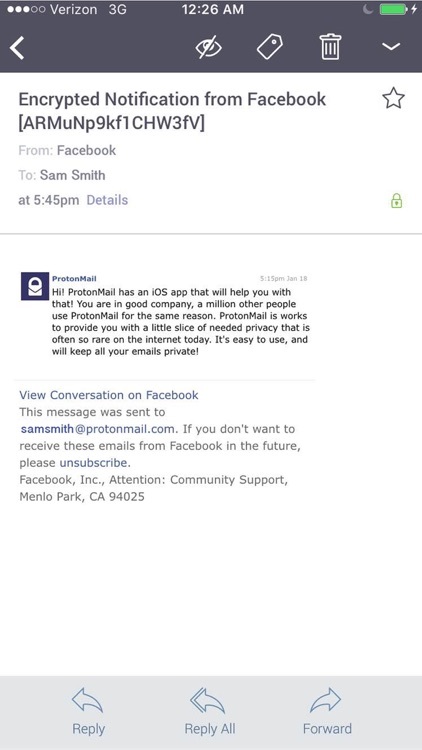 ProtonMail is easy to use, and very efficient. 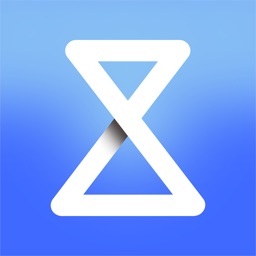 It allows you to set timers for your emails to expire, after which they automatically delete from the recipient's inbox. 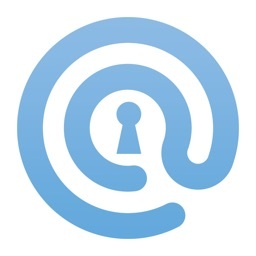 The app is clean and streamlined, with all of the features you would expect from an email client, plus the end-to-end encryption of your messages. 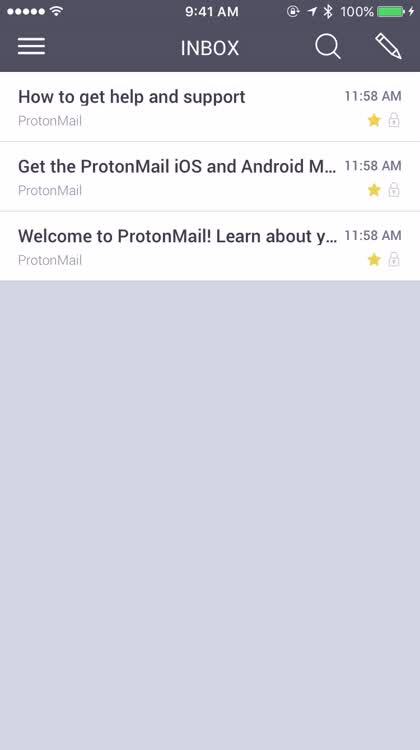 •	Free: ProtonMail is 100% free, no catches.